We Service ALL Makes and Models of ALL Major Appliances: Washers, Dryers, Refrigerators, Freezers, Stoves, Ovens, and Dishwashers. St. Paul, Foristell, Wright City, Truesdale, Warrenton, Hawk Point, and Truxton, Missouri. all of St. Louis County, and all of St. Charles, Lincoln and Warren Counties. 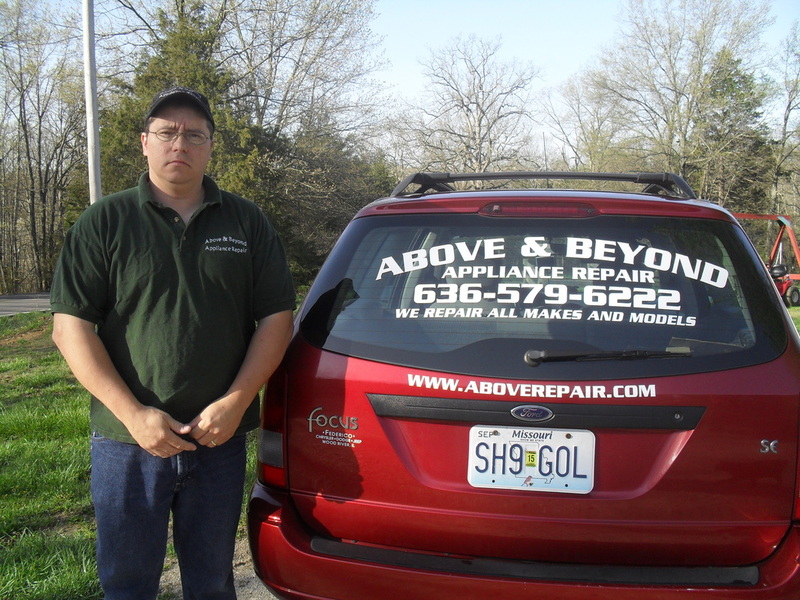 At Above and Beyond we go above and beyond the standard repairman to ensure your satisfaction!! We are sorry we no longer accept checks. We will give a 5% discount for cash! Above and Beyond we are dedicated to old fashioned values, and great customer service.